The entire route from beginning to end fits neatly into one video. Click to drive southbound. Northbound button copy; the first photo is courtesy Doug Kerr and its sign was removed, and you can see the signs in my photo in the background. 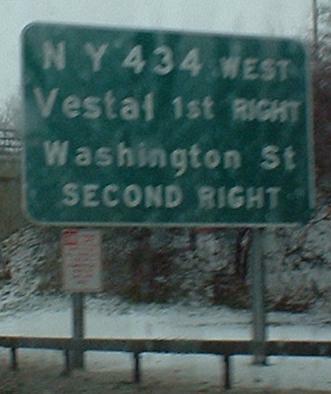 The US 11 exit is just south of where NY 7 leaves the expressway that becomes NY 363, which is why (as you will see below) NY 7 SOUTH is only signed when heading northeast on 363. Southbound in the same place, taken by me in 2001 or 2002 and with a Doug Kerr version of the second photo (less rainy but smaller). All of this old button copy is sadly gone, leaving just an older wooden ramp sign. 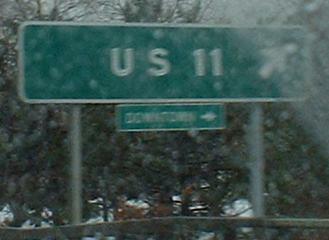 But this sign remains, still southbound. NB and looking at the Exchange St. bridge. The remaining photos are all southbound, or WB past the end of NY 363. 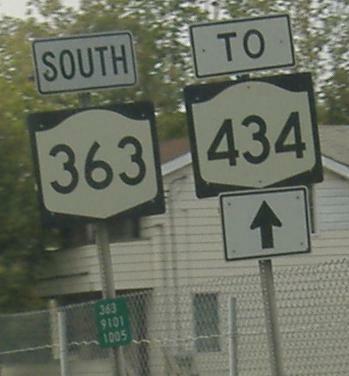 NY 363 has an identity crisis; its primary purpose seems to be to tell NY 7 and NY 434 traffic how to get to each other. 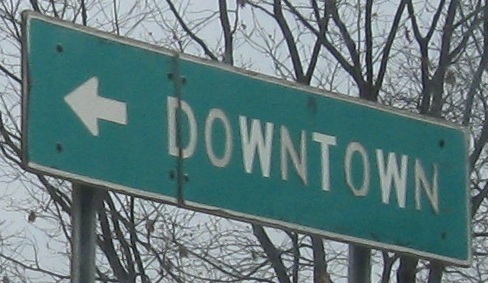 Back when NY 17 followed US 11 through Binghamton and came down what is now NY 434 (in the days when the Quickway was not complemented by the Southern Tier Expressway), 363 would have been a very useful downtown bypass for 17 through traffic. The old button copy signs are gone, by the way. In the first photo, you see the end of 363 and a peek of one of the BGS's that replaced the all-text ones above. In the second photo, you see the end of 363 as taken from the ramp to 434 SB. 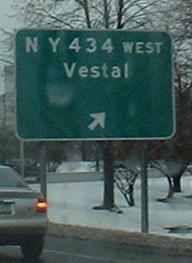 Yes, Heather, NY 363 has two ends, or at least two disparate signs for one end. 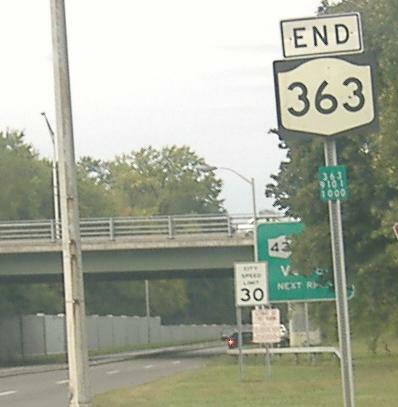 Past both ends of NY 363, although you see in the first photo that NY 363 NB begins right about here. This is the Washington St. bridge, now only used for pedestrians and striped like a regular street so that bicyclists can pretend they're important. Cars would have to navigate around the statue to sneak on. A little further, just across the Chenango River, a 1925 memorial to American wars that doesn't specifically mention the Great War or War to End All Wars.